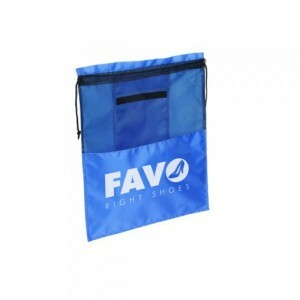 Make yourselves available to the people in hurry by handing out these promotional Solelo travel polyester drawstring shoe bag. 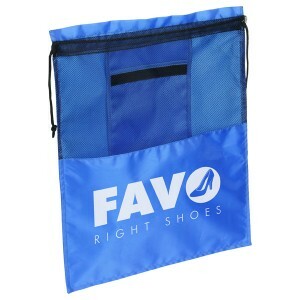 This shoe bag can be folded into convenient storage pouch and managed easily within bags. Gyms, sports clubs, summer camps, school sports team, youth clubs, local football teams and others can easily avail benefits by gifting this polyester bag to their clients or customers. We offer several perks such as free art set up, free online design proof and free shipping on all orders. 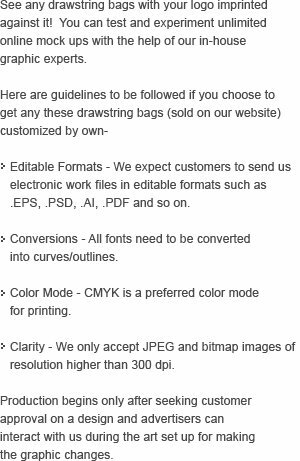 Request a quote to know discounts that you can expect to make on bulk orders of these custom Solelo travel polyester drawstring shoe bag. Item Size: 13 3/4" (L) x 16 3/4" (H). Imprint Area: 9.5" x 6.5"
Product Size: 13 3/4" x 16 3/4"